Can I Thicken a Pudding With Gelatin? Gelatin is a natural thickener that consists of protein derived from either animal or plant sources. 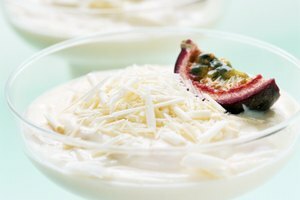 It is a strong enough thickening agent to ensure that pudding holds its shape and could even be sliced or molded if necessary. 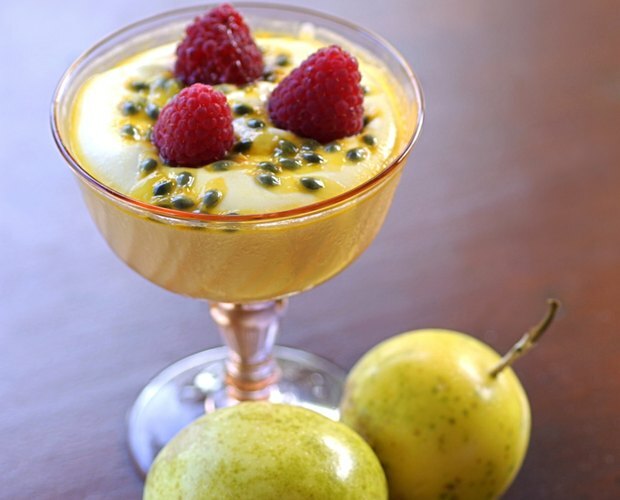 Unflavored gelatin is tasteless and colorless, which makes it an ideal way to thicken pudding without altering the quality of the final product. Find gelatin packets and leaves in most supermarkets. To transform the contents from powder to thickening agent, dissolve, heat and cool the gelatin. Although gelatin forms a rubber-like substance when prepared, it can be used in diluted form to create a thick but smooth pudding that has more of a solid structure than traditional creamy puddings. Refrigeration is necessary to obtain the best result. Gelatin is sometimes preferred over other thickening options, such as eggs or starch, because it is clear and results in an overall stronger bond. 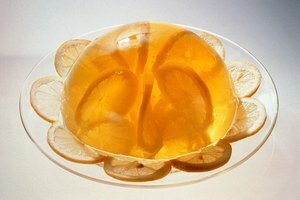 For example, the solid yet flexible form of Jello is a result of the gelatin with which it is made. If starches were used instead, the end result might be thick but not solid and opaque rather than clear. 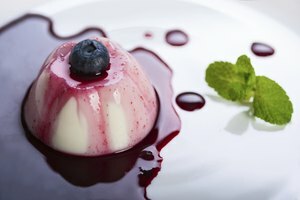 Gelatin is most often used in puddings that do not contain eggs or other thickening agents, such as panna cotta, mousse or Bavarian cream. To thicken with gelatin, you must combine the liquid base of the pudding with the gelatin to change its overall consistency. For example, if you are making chocolate pudding with a milk base, dissolve the gelatin into the milk at the beginning of the process. Heat the mixture on a low flame and stir for five to 10 minutes. Mix the other ingredients separately, then mix everything together once the milk and gelatin blend has cooled to room temperature. Refrigerate the pudding until cold so the gelatin sets, then serve. The main issue with gelatin is its vulnerability to acids that may naturally occur in the food you prepare. For example, citrus fruit contains citric acid. This mild acid can dissolve gelatin and cause it to break down, lose its shape and become a liquid again. A similar effect occurs when gelatin comes into contact with certain natural enzymes, such as those found in figs, papaya, mango and guava. These enzymes are great for digestion but not very good for your gelatin thickener.